According to the report published by the WHO, over 1.9 billion adults are facing the consequences of overweight and 650 million people are obese. Physical inactivity, leisurely lifestyle, consumption of fatty foods and the rapid rate of urbanization are the common factors instigating the risk of overweight or obesity. 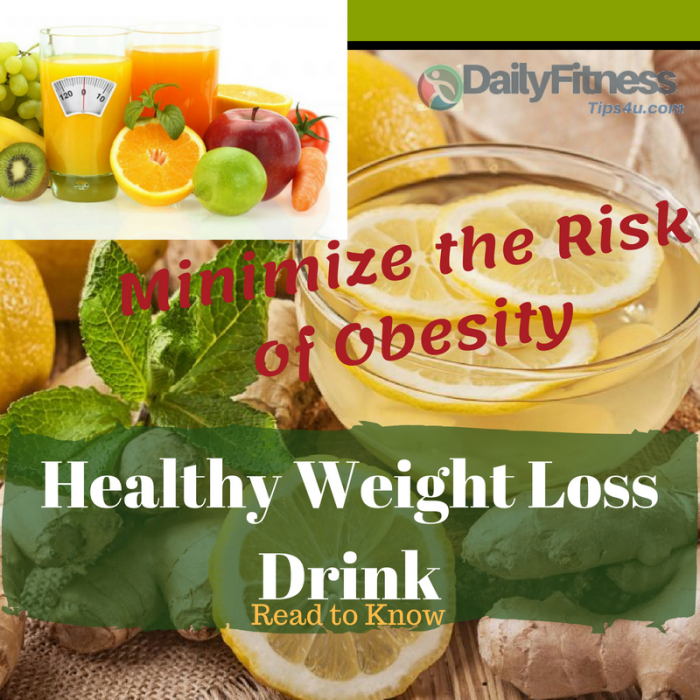 In this report, WHO also indicated that obesity is preventable; hence, a proper diet including healthy weight loss drink is what one needs to lead a healthy life. Is Every Liquid in the Market Drinkable? You may have come across huge advertisements of soda or energy drinks that do not disclose how harmful the drinks can be for your health. The drinks are generally high in calories that lead to ill effects on health. Additionally, there are artificial flavors and added sugar causing severe health complications including a few types of cancer. Sweetened iced tea increases the sugar level in your life and it is better to add one or two teaspoon(s) in the unsweetened tea. Piña coladas, daiquiris, margaritas and sour-mix are loaded with harmful preservatives and can dehydrate your body quickly. Soda is a big “no” from all the medical professionals and apart from dark cola, tonic water, ginger ale and lemon-lime sodas are not good for your health either. Mochaccino or Frappuccino contain sugar syrup, caramel drizzle, whipped topping and chocolate shavings that make you gain extra pounds. Flavored nutritional water is doing bad for your health as the bottles have 30g of sugar which is equivalent to 7 teaspoons. Kool-Aid or Tango is a concoction of artificial coloring and loads of sugar. Hence, instead of being a good healthy weight loss drink, it can only contribute to expanding waist circumference. Is there any Healthy Weight Loss Drink? Now you may be exposed to the bitter reality that almost every drink in the market is susceptible to degrade your health. As you can see that many of the drinks that you see in daily life are prone to make you gain weight, there are various drinks that help in losing weight. Here are few of the healthy weight loss drinks that manage weight and improve health functions swiftly. Keep cinnamon in a cup of hot water for thirty minutes. Let the water cool and then honey. Make sure the hot water does not eliminate enzymes found in honey. Before going to sleep, drink the half of the mixture and drink the rest of it after waking up. Honey and cinnamon are popular ingredients for cleansing and detoxifying the body from impurities. Cinnamon helps in dealing with the glycemic response and improving insulin sensitivity. In addition to the context, it also has the capability of increasing digestion of dietary carbs along with decreasing the making of ghrelin. Raw honey has various enzymes such as catalase, invertase, glucose oxidase, peroxidase and phosphatase that help in weight management. Furthermore, the nutrient can control blood lipids and blood pressure having the potential of improving cardiovascular health. For making small pieces of carrots, you need to wash them and then peel and dice. Then start chopping the vegetables and add other veggies in the juicer. Keep the pressure high for letting them blend together. 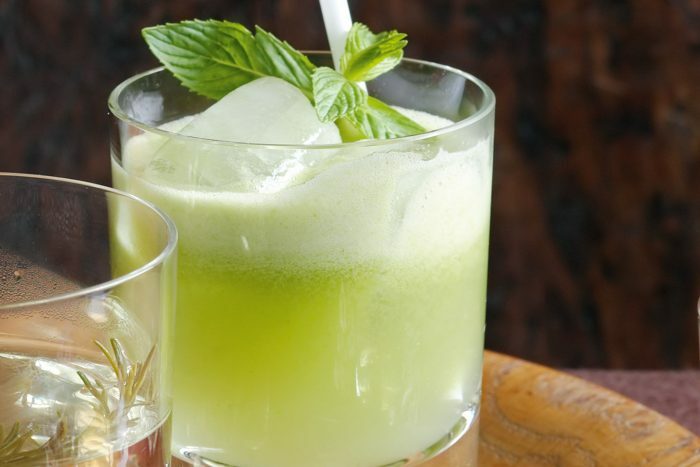 Now it is time to take serve the juice in a glass and use cilantro for dressing. Drink the juice in the morning to get the best of health benefits. In order to prepare this healthy weight loss drink, you have to start by cutting veggies and fruits. Now add the pieces in the blender and keep blending for five to ten minutes. For including a hint of mild sweetness, you can put few drops of stevia. Blending all the ingredients in the juicer, you need to take a glass for pouring the entire blended juice. Now it is better if you add a little bit of lemon juice. The refreshing drink works great for weight loss by energizing you to the core. Using the juicer for blending each ingredient, you can begin making this healthy weight loss drink. Also, you can add tangy taste by using a little bit of lime juice. 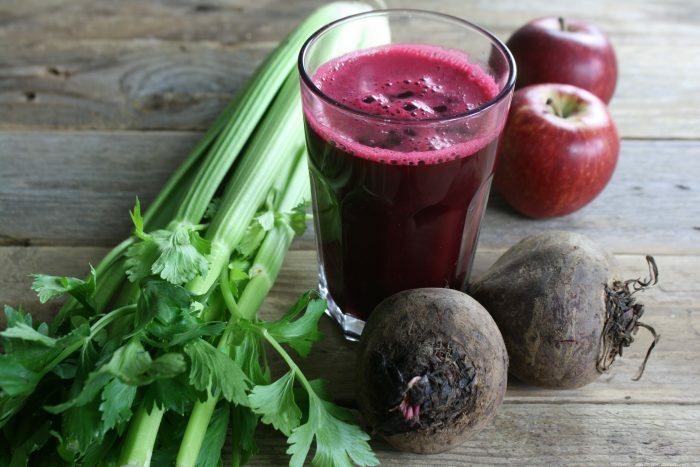 Beet juice along with celery aids in getting rid of toxins and impurities of the body. Reducing inflammation and lowering level of hyperglycemia, pomegranate helps in decreasing weight on a large scale. Grapefruit functions well for losing weight and it has the capability of enhancing post-glucose insulin level and insulin sensitivity. You may have to take only a little bit of honey but this little dose works efficiently in reducing inflammation, bettering cardiovascular issues and minimizing gut problems. Blend pomegranate and grapefruit together. After choosing one spin, pour the healthy weight loss drink in a glass. Mix honey and a pinch of black salt. Before you drink it, do not forget to stir well. 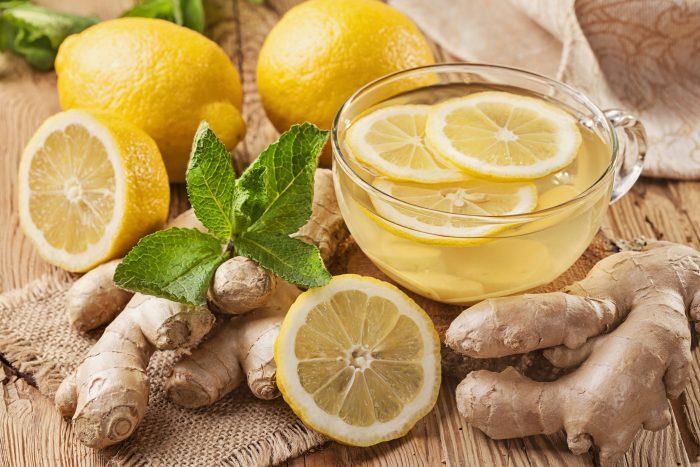 An element, namely, gingerol existing in ginger aids in preventing gastritis, irritable bowel syndrome, diarrhea and reducing pain for a migraine. Cumin contains diuretic components, antimicrobial, antioxidant, anti-diabetic and anti-carcinogenic components that lead to weight loss. In addition to the context, there is Vitamin C in lime which keeps your sugar cravings away and makes ginger and lemon juice is a great instance of a healthy weight loss drink. Take chopped ginger and blend it will. Cold water needs to be added after giving 1 spin. Now the ginger liquid is poured in a glass. Adding cumin powder and lime juice for enhancing flavors. Ginger activates brown adipose tissue resulting in the quick fat burning process and high metabolic rate. Since BAT produces heat, it plays an integral role in the anti-obesity target. Moreover, ginger effectively works in offering comfort during stomach upset, indigestion, vomiting and nausea, constipation and belching gas. ECGC or epigallocatechin is present in green tea for increasing the rate of losing weight. Moreover, green tea is well-known for its antioxidant components that help in burning fat. Like the tea, mint contains antioxidant increasing weight loss and preventing the symptoms of irritable bowel syndrome. Then boil the mint leaves for up to 5 minutes. Now boil the green tea leaves and soak them for five minutes. After straining, you have to pour the water in a cup. If you are able to take this fat burning healthy weight loss drink daily, you can wear your old jeans again easily. Banana contains a decent amount of potassium that removes toxins and strengthens muscles to the core. Take all the ingredients and mix them into a blender. While pouring in a glass, you can add ice cubes. Improving energy level and controlling blood sugar levels, berry lemon apple cider vinegar juice is a good example of healthy weight loss drink. Moreover, you the shake is potential to regulate glucose level and remove dead toxins. At first, you need to put the berries in the bottom of the cup. Add a little bit of honey if you want to sweeten the juice. Use the back part of the spoon to mash the berries with honey. Now you need to include lemon juice and apple cider vinegar. Add enough water and a few ice cubes for enjoying this nutritious drink. This popular healthy weight loss drink improves metabolic rate contributing to your weight loss program quickly. The mix contains zero added sugar and guarantees you to lose ten calories in every serving. Being careful about not exceeding the consumption, you should take only three times a day. Take one packet and shake it well before mixing it in a standard water bottle. It is better if you take the drink thirty minutes before having a meal. In addition to the context, you should not take any snacks after having lunch or dinner. It is a detox drink that limits hunger pangs, relaxes at night, eliminates toxins and improves the function of the immune system. Foraging Detox Tea contains 11 essential herbs, ancient herbs and 7 essential herbs that show positive result by reducing your weight. Moreover, the drink has ginseng and garcinia cambogia that manage weight. When you are following a low-carb diet plan for reducing weight, the addition of Atkins Ready-to-Drink Protein Shake can be beneficial for your health on a large scale. Not only is the shake great for losing weight but also it aids in various issues like inflammation, diabetes, hypertension and cardiovascular diseases. At first, you have to squeeze the lemons and mix all the ingredients together for blending. When you see the juice to get a smooth texture, you need to crush ice cubes. Chug the glass of cold smoothie to get the best of health benefits. Also, you should know that this healthy weight loss drink has a taste similar to frozen lemonade that boosts the energy level. The first step indicates you to brew coffee for blending it with milk, cinnamon and coconut oil. For making the latte, you can blend it for thirty seconds to one minute. Pour in a glass and drink it hot to enjoy it. It is not a traditional healthy weight loss drink but coconut and coffee are great for offering a great weight loss solution. One of the easiest ways of managing weight, boosting physical performance and eliminating the risk of constipation, it is necessary to drink minimum 8 ounce-glasses per day. You can choose dandelion tea, or green coffee for losing weight rapidly. Nevertheless, only drinking healthy weight loss drink cannot alone act as fat-cutter because diet plans, home remedies and exercises should be followed properly.